Nothing is worse than waking up at 3 AM to your sick child standing by your bed. “Mom. I’m sick, Mom. I’ve been sleeping on the bathroom floor for a while because I didn’t think I could make it.” I thought I heard some rustling earlier in the hall, but figured it was the wind or a dream remnant. My poor child was either food poisoned or coming down with a stomach bug. After settling him back to bed with the necessary accoutrements, I spent the last few hours til dawn in semi-sleep, at best. Thanks to my crazy medical family, I worry about the “potentials” for bad outcomes. Of course, he was alive this morning, but still feeling very queasy. He slowly improved through the course of the day, and at dinner was able to eat; I made his favorite dish– chicken and dumplings. He wanted something for dessert, but I didn’t want to overload him with anything from our current inventory of baked goods. They were too high in fat and I was leery of upsetting his stomach. 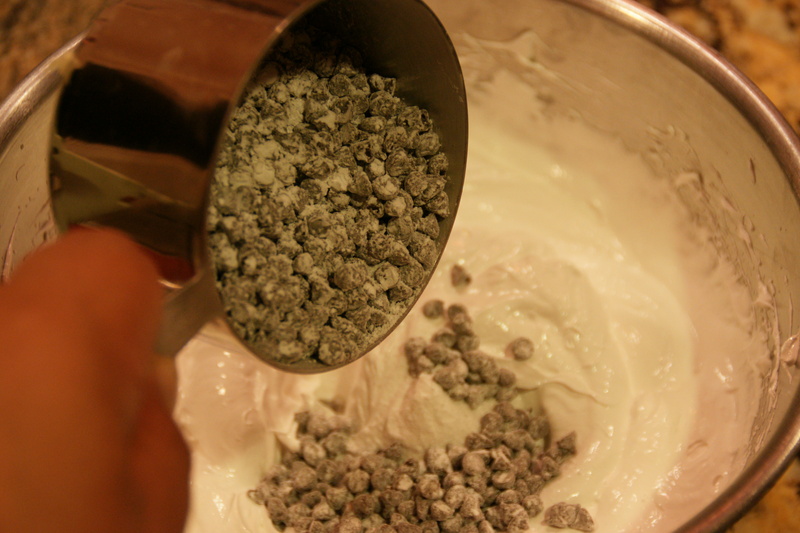 I told him I would make him some meringues with a handful of mini-chocolate chips stirred into the mix (yup, there’s that chocolate obsession again) that he could try later in the evening if he felt better. 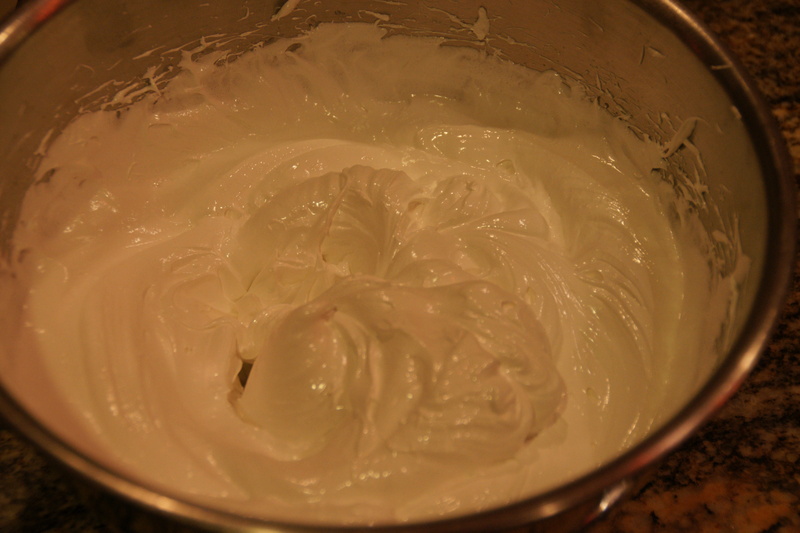 Meringues are easy to make, provided there’s little humidity. Don’t make these on a rainy day because they will never thoroughly dry out into the sweet pastries that initially crunch in you mouth then melt away! I’ve made them two ways: 1) bake at a very low temperature (175 to 200 degrees) for 2 to 3 hours or 2) bake at a moderate heat (300 degrees) for 20 to 30 minutes and let dry an additional hour in the oven (keeping the door closed). I prefer the first method. 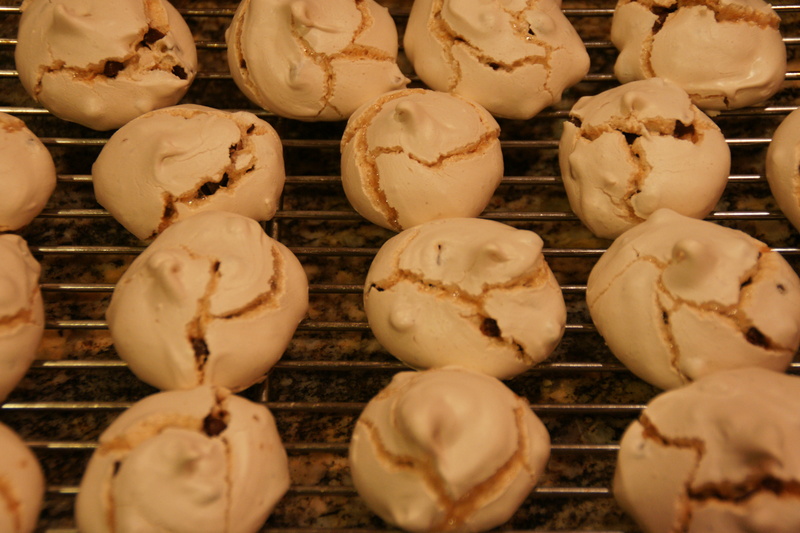 Much of the drying time depends on the weather and how big you drop the meringues, so expect to experiment with the first tray or two. Preheat the oven to 200 degrees (175 degrees if your oven can go that low). Line baking sheets with parchment paper or silicone pads. 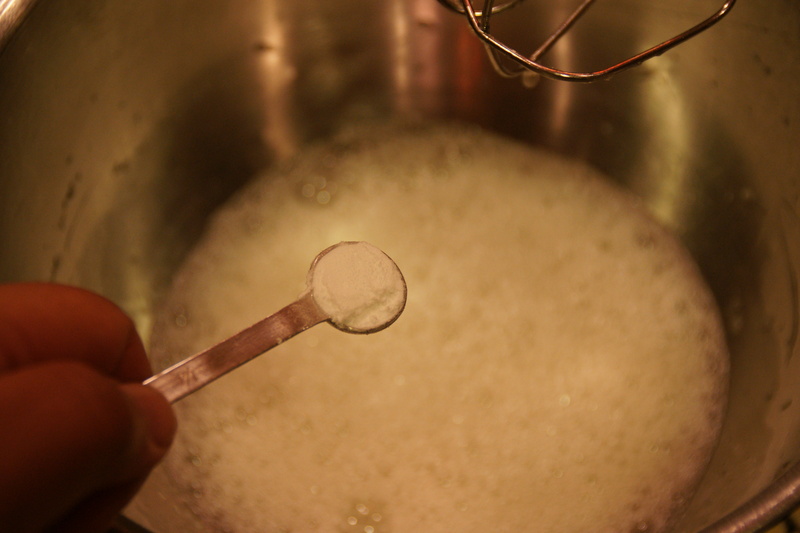 In a large bowl, beat the egg whites until frothy, then add the cream of tartar and salt. The addition of cream of tartar (an acid) helps prevent the beaten whites from collapsing. (If you need more, find a science geek to explain how the acid slows down the collapsing by slowing down the clumping of protein chains). Make sure the eggs have been loosened up a bit! 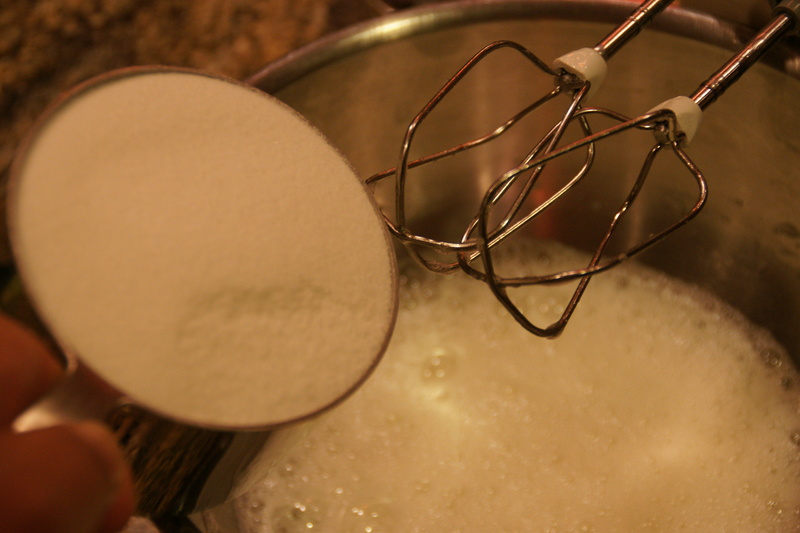 Beat to distribute the dry ingredients, then gradually add the sugar, increasing the mixer speed as needed. Beat until the whites are stiff and glossy. Drop the meringue by teaspoonfuls onto the baking sheet. 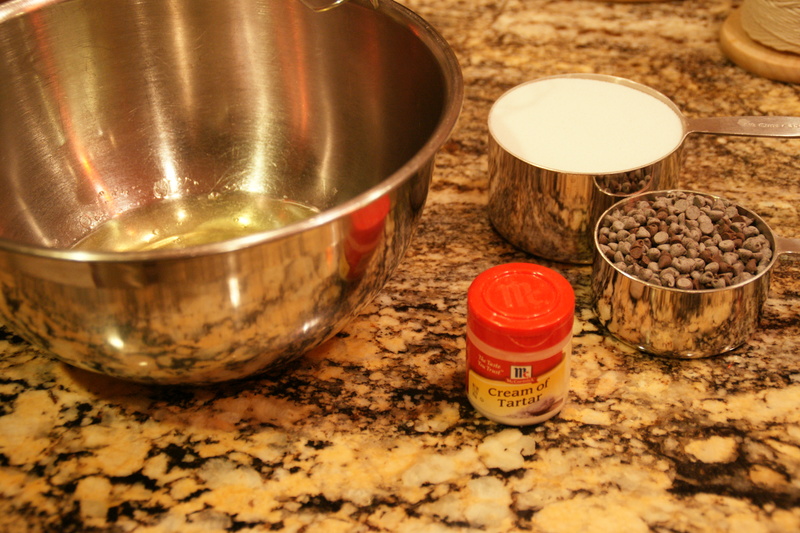 Bake for 2 1/2 to 3 hours; cookies should be a very light brown; watch so they don’t burn! If you’re not sure the meringues are dry, take one out and break it open; there should be little, if any egg white in the center. 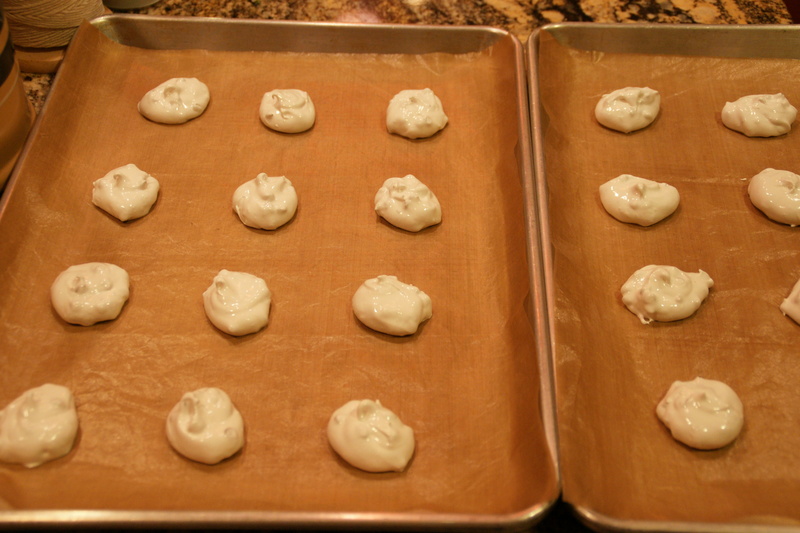 Remove meringues to a rack to dry. Store in an airtight container. These don’t take long to cool! Ken had two of these tonight, without any adverse reactions!